'Dunlop has pulled off an impressive feat of oral history...creating a moving portrait of a world that is now lost forever.' Who Do You Think You Are?? A celebration of the one-hundred years since British women got the vote, told, in their own voices, by six centenarians: Helena, Olive, Edna, Joyce, Ann and Phyllis – The Century Girls? In 2018 Britain celebrates the centenary of some women getting the vote. The intervening ten decades have witnessed staggering change, and The Century Girls features six women born in 1918 or before who haven’t just witnessed that change, they’ve lived it. 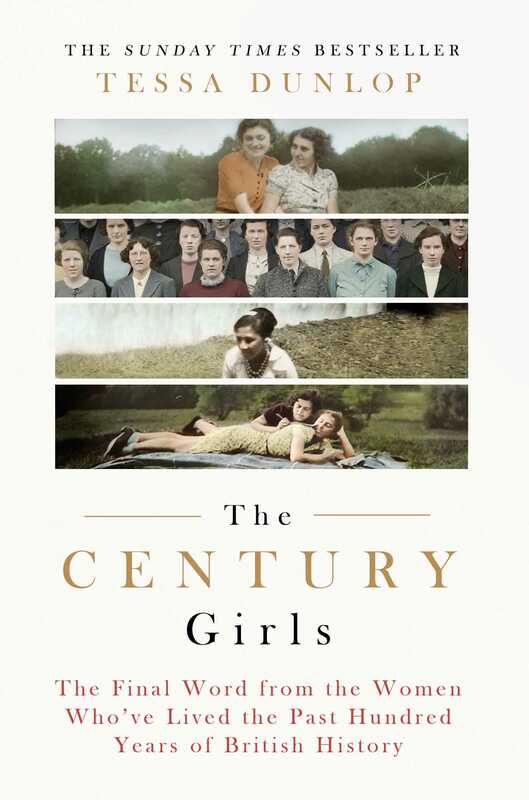 Empire shrank, war came and went, and modern society demanded continual readjustment.... the Century Girls lasted the course, and this book weaves together their lifetime’s adventures – what they were taught, how they were treated, who they loved, what they did and where they are now. With stories that are intimately knitted into the history of the British Isles, this is a time-travel epic featuring our oldest, most precious national treasures. Edna, 102, was a domestic servant born in Lincolnshire. Helena is 101 years old and the eldest of eight born into a Welsh farming family. Olive, 102, began life as a child of empire in British Guiana and was one of the first women to migrate to London after the war. There’s Ann, a 103-year-London bohemian; 100-year-old Phyllis, daughter of the British Raj, who has called Edinburgh home for nearly eighty years; and finally ‘young’ Joyce – a 99-year-old Cambridge classicist who’s still at work. It is through the prism of these women’s very long lives that The Century Girls provides a deeply personal account of British history over the past one hundred years. Their story is our story too. 'A delightful book . . . all about women and women's lives.' Jane Garvey, Radio 4 Woman's Hour? ‘A wonderful blend of British history with individual stories – and for any reader under about 90, an often startling reminder of how much things have changed.’ Reader’s Digest? “Tessa Dunlop has found a uniquely personal touch… Dunlop has pulled of an impressive feat of oral history, weaving the women’s memories of their long lives into a coherent narrative and setting it in the context of events at the time… They recount their memories in incredible details, creating a moving portrait of a world that is now lost forever. If you have older female relatives this book will inspire you to capture their stories” – Who Do You Think You Are? – Who Do You Think You Are?